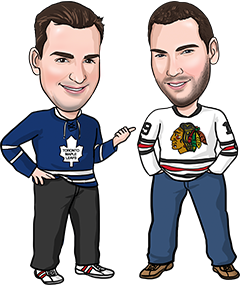 We split our 2 NHL betting tips last night. The Ducks beat the Wild 3-1 in a game that stayed Under 5 for us. Our loss came in Detroit as the Wings lost 2-1 to the Blues despite outshooting St. Louis 30-20. It was a defensive night all around as Colorado beat Buffalo 2-1 in the other game. We’ll hope the action is more exciting tonight with 10 games on the board. Though if there’s one game that’s a snoozer, we wouldn’t mind if it’s in Winnipeg, where we’re hoping for a defensive struggle. It’s tempting to take the Senators here, since they are coming off wins over the Kings and Sharks. But this is a really tough spot for Ottawa. It’s their last game of a 5-game road trip that started on the west coast. We can see the Sens looking past this one tonight and being excited to get back home. The Devils were energized Tuesday by the return of Mike Cammalleri from injury, dumping the Flames 4-2. They’re a different team with Cammalleri in the lineup, and he’s dominated Ottawa of late with 13 points in his last 10 games versus the Senators. The Devils have also gone 5-1-1 in their last 7 against Ottawa. We don’t love backing short favourites on the road, but we want to ride this San Jose hot streak as long as we can. The Sharks are looking for at least a point in their 7th straight game, playing their best hockey of the season. Couture looks like he might be getting on track and Hertl has scored in 2 straight. Offence isn’t an issue right now for San Jose. It is, however, for the Coyotes. They’ve scored 3 goals in their last 3 games, including a 2-1 home loss to Buffalo Monday. And we can’t ignore San Jose’s recent success versus Arizona: 9-2-3 in the last 14 meetings between the teams. We debated over taking Anaheim or the Under last night against Minnesota, and both ended up winning. We have to keep fading the Wild until they figure things out. Minny went in the tank like this a couple of seasons ago and it seems like when things go bad for the Wild, they go bad for a long time. Things only get tougher for the Wild tonight in LA, where the Kings are clicking. LA has allowed 2 goals or less in 9 of its last 11 games, so we don’t see Minnesota breaking out offensively tonight. There’s a bit of risk in taking LA to win in regulation, since they don’t score a ton of goals themselves, but we’d rather do that than lay the -175 on the moneyline. It’s up to you. We just don’t see where the goals come from tonight. Winnipeg has 11 goals in its last 6 games, and they obviously miss Stafford and Scheifele. Nashville is scuffling offensively as well. Hellebuyck has a GAA of 2.00 in 11 starts for the Jets, and we think Hutton might play in net for Nashville, looking to build on a shutout win in his last outing. These teams combined for 9 goals a week ago in Winnipeg, but that probably helps the Under tonight. Both coaches remember that and will be emphasizing defensive improvements, which should lead to a tight-checking affair.